Hello and welcome to this week’s Current Affairs Wrap. We’ve had a historical blow for PM May in the UK, terror in Kenya, a shocking and brutal attack back home in Melbourne and a disastrous trip to the barber for a young man in China. British PM Theresa May saw her controversial Brexit deal defeated in Parliament this week. The result wasn’t unexpected however it has created even more uncertainty regarding Britain’s future in the EU. The vote also represented the largest defeat margin in the history of the House of Commons; a whopping 230 votes. The decision resulted in an almost immediate vote of no confidence motion from Opposition Leader Jeremy Corbyn which May miraculously survived with 325 votes to 306 votes. What happens from here is anyone’s guess. May has until January 21 to submit an alternative deal for the UK Parliament to consider; assuming she has a Plan B up her sleeve, it’s still quite unlikely that any alternative put forward would pass either. The second major option which continues to pick up steam is a second referendum on Brexit itself. Such a referendum would require approval by Parliament and PM May has made it clear that it’s not an option she would consider. The business community, however, have heightened their calls for this option to be entertained with 130 executives of major British organisations signing off on a letter to The Times newspaper calling for a second referendum. 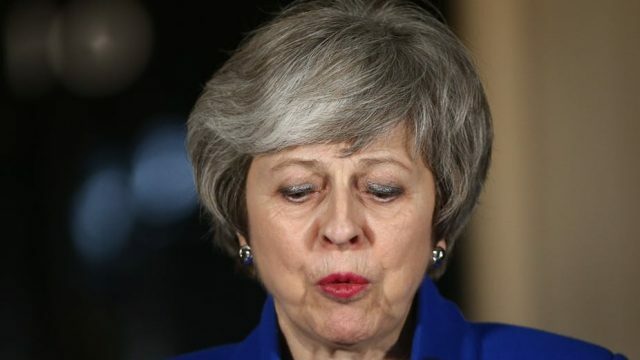 The third option is either to delay the UK’s confirmed departure from the EU on the March 29 to allow for a new plan to be devised and voted on, or possibly a withdrawal of the UK’s notice of intention to leave the EU. Again, PM May has indicated she won’t entertain either of these options. The other option is to do nothing. The UK could proceed with it’s Brexit divorce on March 29 without an approved plan in place. Opposition Leader Jeremy Corbyn has already made it clear to PM May that this option must be taken off the table before any further negotiations on May’s deal are entertained. The consequences of a no-deal hard exit are difficult to fathom, however Defence Secretary Gavin Williamson announced this week that 3,500 military reservists were “held at readiness” to help with the potential fallout. Which is all to say, if you had plans to visit the UK in late March…maybe postpone them just in case. The upmarket Dusit Hotel complex in Nairobi, Kenya was the scene of a devastating militant attack that saw 21 people killed. The siege began at around 3pm local time on Tuesday with four men reportedly exiting a white car next to the complex and opening fire at a security checkpoint. Once they had moved past the checkpoint, they allegedly fanned out and began shooting. Local police and counterterrorism forces were quickly on the scene, helping evacuate 700 people from the complex whilst engaging the attackers in gunfire. The proceeding siege lasted more than 18 hours, and included in the deaths was a local police officer. It’s been revealed that 15 of the victims were Kenyan, as well as an American (who in a horrible twist of fate happened to be a survivor of the 9/11 attacks), a Brit and others of an undetermined African nationality. Five of the attackers were also killed during the siege. Responsibility for the attack was claimed by a group called “The Shabab”, who are affiliated with Al-Qaeda and are based in Somalia. A statement released by the group on Wednesday indicated that the attack was in response to the Trump administration’s decision to move the American Embassy from Israel from Tel Aviv to the disputed city of Jerusalem. Joseph Boinnet, chief of the Kenyan national police, advised the media that “two key suspects believed to have facilitated the attack” were in custody. Further reports have suggested that an additional nine people have been detained in relation to the attack. A 20-year old Melbourne man has been quickly arrested following the brutal murder of international student Aiia Maasarwe in Melbourne this week. Ms Maasarwe had been living in Melbourne on an exchange program and studying at Melbourne’s LaTrobe University. She began her night attending a Melbourne walking tour with new friends she had made at Flagstaff Gardens in the CBD. Later in the evening, she attended a comedy show at The Comic Lounge in North Melbourne before boarding a tram just before 11pm on Bourke Street to go home. It’s been reported that she disembarked the tram at the Plenty Road stop near Main Drive, Bundoora, just after midnight, which was just under a kilometre from her home. She was reportedly speaking on the phone to her sister when she was attacked some 50 metres from the tram stop. Ms Maasarwe’s body was discovered by workers the next day in the shrubs outside the Polaris shopping centre. A hat and a grey and black t-shirt, believed to have been discarded by the attacker, were found near her body. Police have opted not to release details of the attack itself due to the horrific and brutal nature, however Senator Derryn Hinch released unconfirmed details on Twitter, before removing the post following backlash from the community. Police have not released any details of the alleged attacker except that he is 20 years old and was arrested in the northeastern suburb of Greensborough. Detectives investigating the attack have previously indicated that it’s likely the attacker stalked her on the tram from the CBD before following her when the disembarked. Media reports have suggested that the man in custody over the attack is 20-year old Codey Herrmann, who attended school within minutes of where Aiia’s body was found. As Australia Day fast approaches, the debate over whether January 26 is the most appropriate day to celebrate this nation’s diverse history has again hit fever pitch. In recent years, we have seen a growing pushback against the date from wide ranging sections of the community, including a number of councils who have drawn the federal government’s ire by choosing to conduct citizenship ceremonies on an alternative day. Prime Minister Scott Morrison threw himself into the debate this week by instigating a new policy that will force local councils to hold citizenship ceremonies on January 26, as well as introducing a new dress code for the ceremonies which will see Aussie favourites like thongs and board shorts banned. Failure to comply by councils will result in them being stripped of the right to hold citizenship ceremonies in the future. The draconian move by the Morrison Government is at least consistent with almost everything else he’s put in place since parachuting into the top job last year; arbitrary truly is the new black. It seems, however, that the councils aren’t taking the change lying down. Apart from the controversy surrounding the date itself, Australian Local Government Association president Mayor David O’Loughlin criticised the Morrison government for not consulting councils prior to the drastic move; especially as it would have found many Local Government Areas forgo citizenship ceremonies on Australia day because of the heat. So listening to their constituents and acting in accordance with their wishes is politicising the event, but implementing a “do it or shut up” policy across the board without consultation—all the while instigating a strict dress code because you “are a PM for standards”—isn’t politicising it? Well, at least we can all rest in the comfort of knowing that he won’t be PM for much longer. Even if that means the Shorten will be. We’ve all had a bad haircut. Whether it was a bowl cut dished out by Mum or a hairdresser with delusions of grandeur taking too much creative license, we can all relate to the dread of showing ourselves in public following a cut and dry case of follicular manslaughter. For one guy in China, his misfortune came from a barber who possibly took things a little too literally. Thanks to smartphones, it’s a lot easier to show your cutter what you’re looking for on the Internet. The gentleman concerned here did exactly that, showing his barber a paused video of a model that had the exact do he was looking for. The barber got to work, expertly recreating exactly what he saw. Unfortunately for the customer, he did it a little too well—with the finished product including a noticeable triangle shaved into the side of his head that looked exactly like the play sign that sat in the middle of the pause screen. Who knows, he might start a trend! That’s it from me, TBSers—have a cracking week!